Baby bonnets and helmets	There are 154 products. 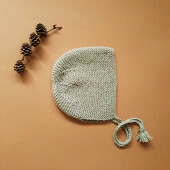 A lovely 100% merino woolen hat made in the Netherlands by experienced knitters. The hat needs to be washed by hand. 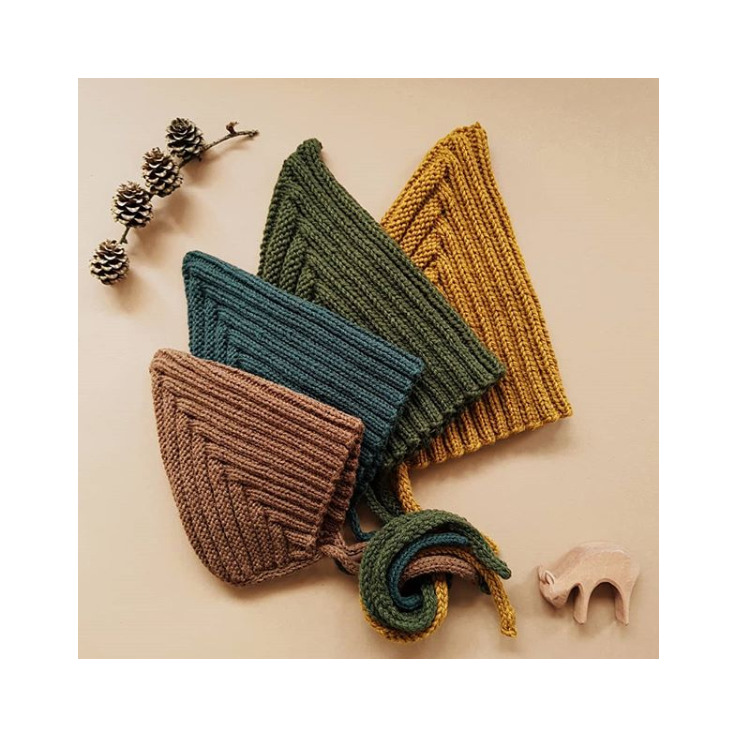 Since the hats are hand work and we use different dye-baths for the wool, the colour may vary slightly and every hat is unique. By doubts about the size, pick the largest one. 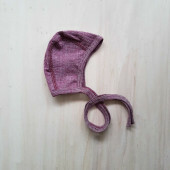 A baby bonnet mde of 45% cotton 35% woolÂ and 20% silk. The bonnets are GOTS certified and made in Germany. A lovely 100% silk bonnet made in the Netherlands by experienced knitters. Bonnet needs to be washed by hand. Since the hats are hand work and we use different dye-baths for the silk, the colour may vary slightly and every hat is unique. 2 WEEKS DELIVERY TIMEBy doubts about the size, pick the largest one. A lovely 100% silk bonnet made in the Netherlands by experienced knitters. Bonnet needs to be washed by hand. Since the hats are hand work and we use different dye-baths for the silk, the colour may vary slightly and every hat is unique. DELIVERY TIME 2 WEEKSBy doubts about the size, pick the largest one. A lovely 100% silk bonnet made in the Netherlands by experienced knitters. Bonnet needs to be washed by hand. Since the hats are hand work and we use different dye-baths for the silk, the colour may vary slightly and every hat is unique. DELIVERY TIME 2 WEEKS By doubts about the size, pick the largest one. A lovely 100% merino woolen pixie hat made in the Netherlands by experienced knitters. Pixie hat needs to be washed by hand. Since the hats are hand work and we use different dye-baths for the wool, the colour may vary slightly and every hat is unique. DELIVERY TIME 2 WEEKSBy doubts about the size, pick the largest one.